Woodstoves have become very popular in recent years, but often they are not used as efficiently and cleanly as they could be. – how to source a local wood supply. Our kind host is also offering a warming glass of wine! Free event, 10 places only so please book now at mary@mhsgroup.org and we’ll send the full address. Whilst i appreciate the motives in educating people to minimise emissions from wood burning stoves I would prefer them to be completely banned. We have a neighbour who has recently installed a wood burning stove, and every Friday, Saturday and Sunday evening for the last 4 weeks(!!) we have been subjected to what I can best describe as extremely acrid air at bed time. Like a lot of terraced properties smoke gets trapped in what is in effect a mini inversion – the location of wood burning flue is at first floor extension level and gets trapped. My wife and I find it just about bearble when we try to sleep but it is extremely bad for our young daughter Kate’s asthma. Our neighbour has said that it was installed professionally and has been tested – so what do we do? We have lived happily in the area for years but are now at the mercy of a kitchen diner fashion accessory! Jerry – thanks for your comments, MHSG is aware of the pollution caused by wood-burning stoves in London. 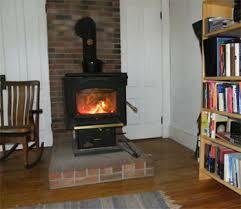 Our approach is, as you say, to educate people on how to use them, and we are also concerned that many people have wood stoves that are not DEFRA compliant. The Mayor of London is reviewing regulations around wood-burner use in London, and MHSG would support the tightening of regulations (and the necessary enforcement). I think part of the problem is the actual location of wood burner flues. A lot of people, like our neighbour who also has said the ony use appropriate seasoned wood, have the flue sticking out above their ground floor extensions. Consequently, the pollution is expended at low level and is not blown away. I think it is extremely selfish for what has become a fashion accessory. I do not understand how this can be supported by the MH Sustainability Group? Apologies for this late reply. Please email info@mhsgroup.org and I’ll send you an article written by our member who hosts the Woodstove Wisdom evenings.